Tim Muehlhoff (Ph.D., University of North Carolina at Chapel Hill) has served on the staff of Campus Crusade for Christ since 1986. He is currently an associate professor of communication at Biola University in La Mirada, California, where he teaches classes in interpersonal communication, rhetoric and gender. Tim has written about God, communication and faith in diverse publications such as the Journal of Religion and Communication, Journal of Social and Personal Relationships, Mars Hill Review and Discipleship Journal. He has co-authored The God Conversation: Using Stories and Illustrations to Explain Your Faith with J. P. Moreland -Tim Muehlhoff says that often the best way to win over others is with a good story. 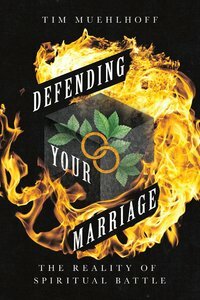 Stories have the ability to get behind our preconceptions and defences, and most recently he has co-authored Authentic Communication: Christian Speech Engaging Culture (Christian Worldview Integration Series) with Todd V. Lewis and Marriage Forecasting:Changing the Climate of Your Relationship One Conversation at a Time.